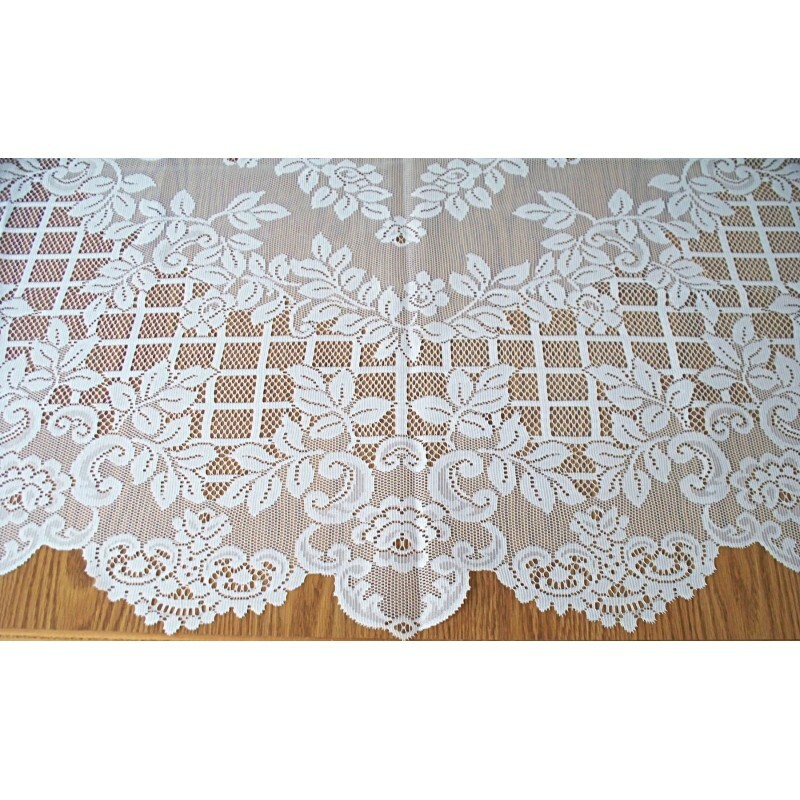 The beauty of the tablecloth is a must see to truly appreciate. 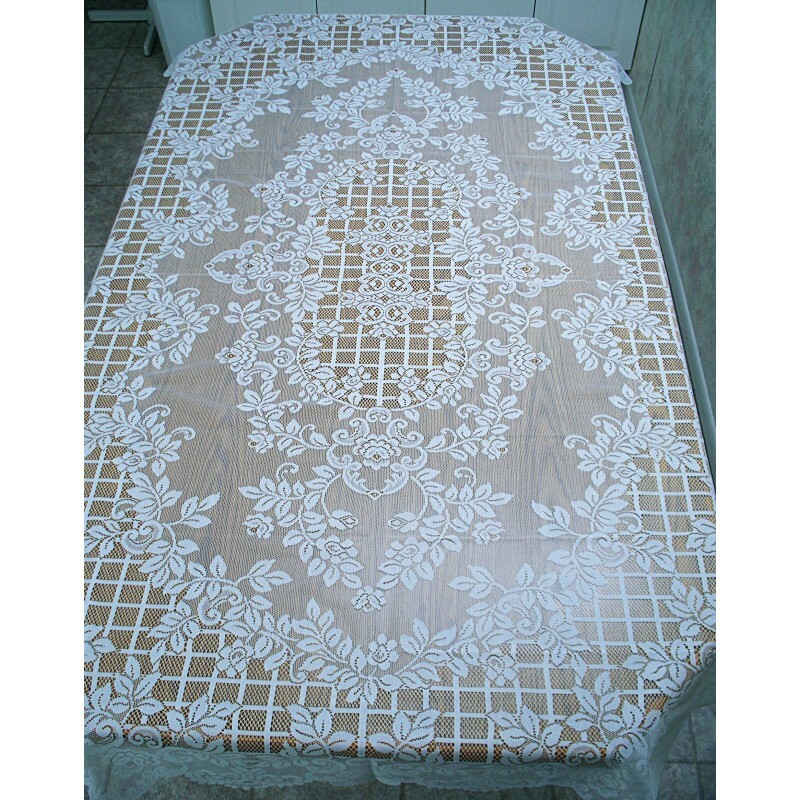 Called the Trellis Rose, this tablecloth is a beautifully designed trellis background pattern with winding vines and small roses adorning the trellis. 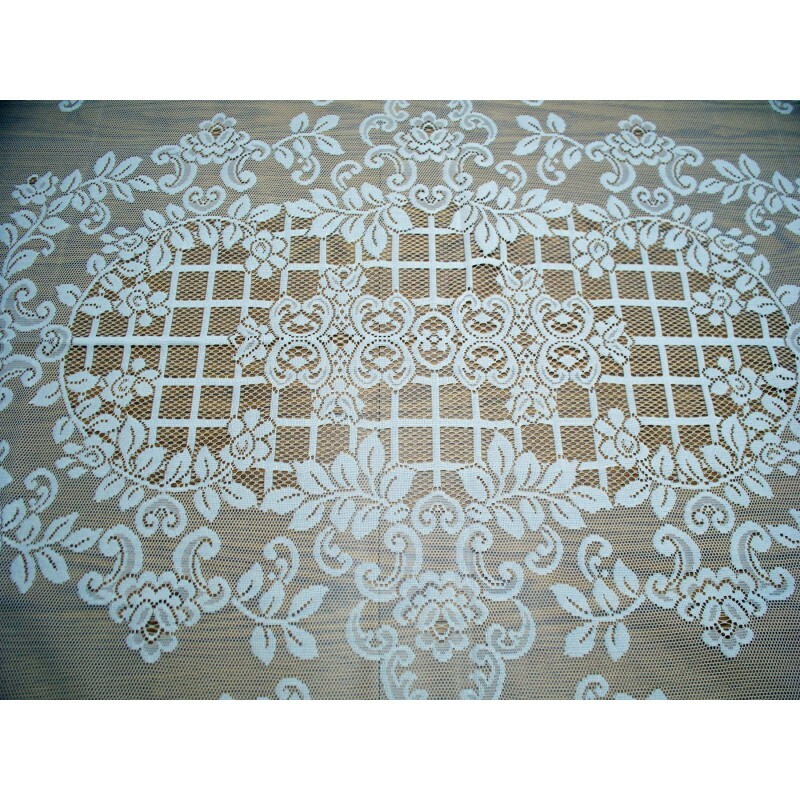 The edges of this tablecloth are done in lovely scalloped edges. 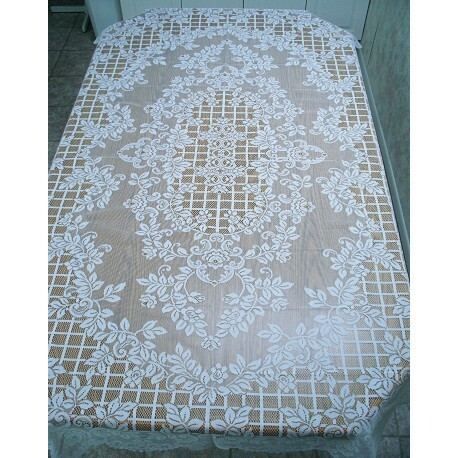 This is a very nice quality tablecloth. Size: Approx.60 inches wide x 84 inches long rectangle style. Fits a table 36 inches x 60 inches to/a 48 inches x 72 inches. Care: Machine wash cold-gentle cycle. Hang or lay flat to dry. 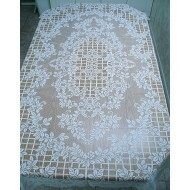 We have placed this over a cherry wood table, as we wanted you to see the pattern. You can use alone on your wood table as is or you can colored padding or material underneath.